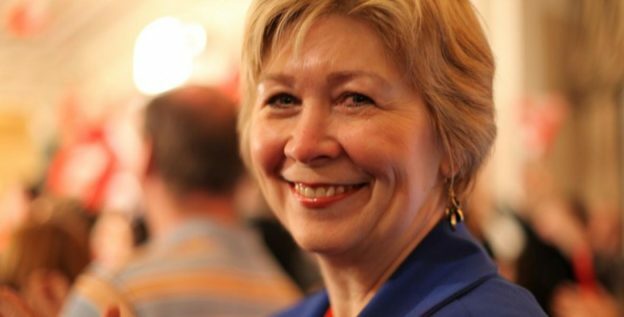 New Democratic Party stalwart Anne McGrath announced on social media today that she plans to seek her party’s nomination to run in Alberta’s next provincial election in the Calgary-Varsity district. A long-time advocate for progressive issues, McGrath is known to many of Canada’s New Democrats as Chief of Staff to former federal party leader Jack Layton from 2008 to 2011 and president of the NDP from 2006 to 2008. 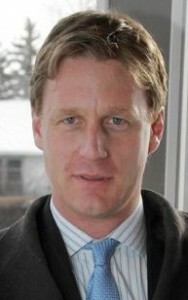 Most recently, McGrath returned to Alberta after Rachel Notley‘s NDP were elected into office in 2015, first serving as Principal Secretary in the Premier’s Office in Edmonton and then moving to Calgary to serve as Executive Director of the Premier’s Southern Alberta Office at the McDougall Centre. McGrath’s entry into this nomination race was foreshadowed by the unexpected announcement over the weekend by Calgary-Hawkwood MLA Michael Connolly that he was withdrawing from the contest. Connolly had been challenging Julia Hayter for the nomination to succeed incumbent Calgary-Varsity MLA Stephanie McLean, who announced in June 2018 that she would not seek re-election in 2019. (UPDATE: It appears that Hayter has also withdrawn from the nomination contest). McLean was elected with 43.9 percent of the vote in the 2015 election, and along with this district’s history of electing Liberal Harry Chase from 2004 to 2012, the NDP see holding Calgary-Varsity as a priority in 2019. 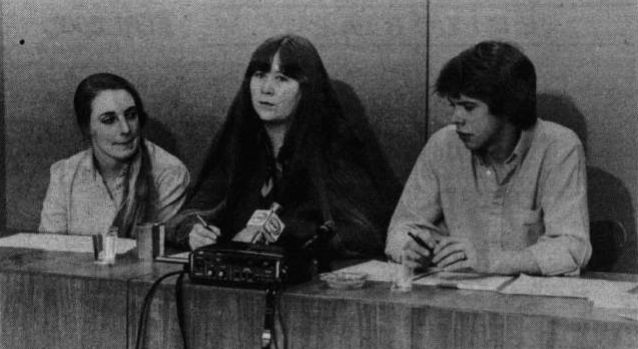 She was later a spokesperson for the Alberta Status of Women Action Committee and ran for the Alberta NDP in Calgary-Bow in the 1993 election and in Calgary-McCall during a 1995 by-election. 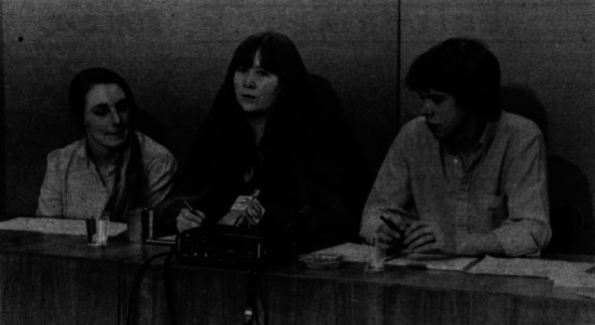 She also ran for the leadership of the Alberta NDP, challenging then leader Ross Harvey and earning 118 votes to Harvey’s 177 at the party’s 1995 convention. She enters the nomination contest in Calgary-Varsity as Notley’s approval numbers have jumped following the Premier’s tough talk in response to the latest setbacks in the expansion of the Trans Mountain Pipeline project. Calgary-Bow – Lawyer Byron Nelson is seeking the UCP nomination. Nelson was the Progressive Conservative Party candidate in this district in 2015 and ran for the leadership of the PC Party in 2017 (he finished in third place with support from 2.7 percent of the voting delegates at the party’s convention). Harry Fleming has withdrawn from the UCP nomination contest and is now working as a Communications Advisor at the UCP Caucus office. Calgary-South East – MLA Rick Fraser has announced he plans to seek the Alberta Party nomination and run for re-election in 2019. Fraser was elected as a PC Party MLA in 2012 and 2015 and left the UCP caucus to sit as an Independent MLA on September 12, 2017. 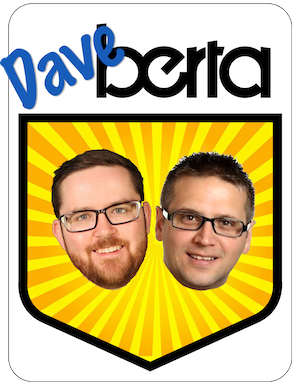 He joined the Alberta Party caucus on January 9, 2018 and ran for that party’s leadership. Camrose – Steven Hansen is seeking the Alberta Party nomination and Trevor Miller is seeking the UCP nomination. Miller was the Wildrose Party candidate in Wetaskiwin-Camrose in 2012, where he placed second with 31.8 percent of the vote. The UCP nomination contest in this district is turning into a Wildrose Stomp, as Miller faces Jackie Lovely, who ran for the Wildrose Party in Edmonton-Ellerslie in 2012 and 2015, and Brandon Lunty, who ran for the Wildrose Party in Calgary-South East in the 2015 election. Edmonton-Glenora – Glen Tickner is seeking the Alberta Party nomination. Lethbridge-East – Motivational speaker and consultant Kimberly Lyall is seeking the UCP nomination. This entry was posted in Alberta Politics and tagged Alberta Election 2019, Alberta Election Candidate Nominations, Alberta Liberal Party, Alberta NDP, Alberta Party, Alberta Status of Women Action Committee, Anne McGrath, Brandon Lunty, Byron Nelson, Calgary-Bow, Calgary-Hawkwood, Calgary-McCall, Calgary-South East, Calgary-Varsity, Camrose, Communist Party of Canada, Edmonton-Ellerslie, Harry Chase, Harry Fleming, Jack Layton, Jackie Lovely, Julia Hayter, Oil Pipelines, Rachel Notley, Rick Fraser, Ross Harvey, Stephanie McLean, Steven Hansen, Trans Mountain Pipeline Project, University of Alberta, Wetaskiwin-Camrose, Wildrose Party, Wildrose Stomp on September 26, 2018 by Dave Cournoyer.